The month of March is difficult for many, especially those living in the northern climes, where winter seems to be lingering on, and on, and on. After months of being cooped up by the cold and snow, the inability to get outside and begin working on Springtime projects brings on gloom. For others, March is simply a month that doesn’t offer breaks from school or work. The only way to get over it is to get busy, but when a person is depressed, there’s no incentive. There’s no energy for getting busy. So instead, they do more sitting and become more depressed. Fortunately, Dr. Bach formulated a flower essence that can come to the rescue. Used for the treatment of chronic depression accompanied by “giving up,” Wild Rose can re-align your energies and allow you to find new enthusiasm, new interests, and new energy. Those who suffer from a chronic negative Wild Rose state often behave as if they are half dead. 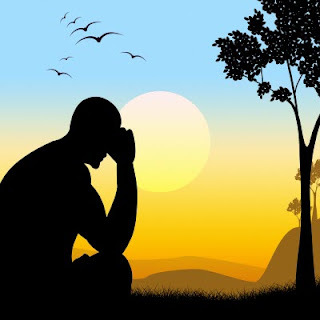 Their apathetic attitude and lack of interest makes them poor company and thus they spend more and more time alone – becoming even more depressed. You may recognize them in the people who stay in a bad marriage or stick with a job they hate, simply because they feel there’s no use. They have no choice. Wild Rose may be needed temporarily for seasonal depression or following a particularly trying period in life. It may also be needed as a long-term remedy for those whose condition has been long-standing. For more flower essence remedies from Dr. Bach, and to take the questionnaire and determine which you need, visit FeelBach!